Dr. Manish Bhatia is a young Indian homeopath, known internationally for his passion for homeopathy. A person who loves to teach homeopathy, his mission is to make homeopathy accessible to everyone. A teacher, a clinician, a researcher, an activist, a technocrat – he is the new generation homeopath, working to make homeopathy a household name in every corner of this earth. Dr. Bhatia is the Founder Director of Hpathy, world’s leading homeopathy portal, serving homeopathy to more than half a million people every month. Dr. B started Hpathy as a small website but his vision has made this small website the most powerful and respected resource for homeopathy on the Net within a short span of a few years. But the results have not come easy. There had been long working hours, wakeful days and sleepless nights. But he has a BIG dream – to take – Homeopathy to Everyone! And big dreams are not realized easily. This dream, called Hpathy, has become more easy to realize due to the huge support that it has received from the homeopathic fraternity from across the world. The Hpathy Team has worked hard to make Hpathy, what it is today. An ever-improving clinician, a teacher loved by his students, a well known speaker – he has got a multifaceted personality. Apart from homeopathy, he is also an expert in computers. Despite his interest in multiple areas, there is a single-minded devotion for the upliftment of homeopathy. Homeopathy is his passion, homeopathy is what fuels him! Dr. B stretches himself in many directions to fulfill his commitment for homeopathy. He runs a consultation office at Jaipur, works as a Lecturer of Organon of Medicine at S. K. Homeopathic Medical College, writes for various journals, reviews books, works as an Editor of Homeopathy 4 Everyone, is a member of the advisory board of the European journal Homeopathic Links, and not to mention the work that goes in running Hpathy. Apart from Hpathy, Dr. Bhatias’ also run an online organization Alternatives, to promote education of homeopathy through free & subsidized online homeopathy courses. Nearly 20,000 people have already benefited from his online courses. Dr. Manish Bhatia is an Editor of Homeopathy 4 Everyone, world’s leading homeopathy e-journal with more than 50,000 subscribers in 100+ countries. Dr. Manisha Bhatia, Dr. B’s better-half, not only shares her name and profession with her husband, but also the love and passion for homeopathy. She is a conscientious clinician, who strives to improve her patients life through her indepth understanding of homeopathy principles and clinical skills. She is also the Joint-Director of Hpathy. She has done her M.D. in homeopathy for which, she worked on the homeopathic treatment of pigmentary disorders of the skin. Her common sense approach and practical prescriptions have made her the leading female homeopath in Rajasthan. 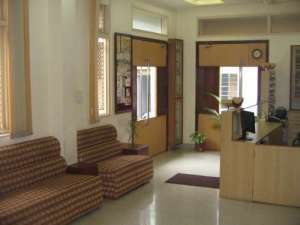 Dr. Bhatias’ are well-known clinicians and offer their services at Asha Homeopathy Medical Center, Jaipur, India.